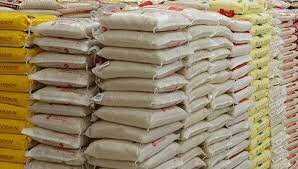 Authorities in Nigeria say they will close their border with an unnamed neighbouring country within the next few days to stop foreign rice being smuggled in. “Poisonous materials” and “arsenic” are among the substances Nigeria’s agricultural minister Audu Ogbeh claims are present in rice imported from China and South East Asia into Africa. In South East Asia where they grow the rice, if you plant rice in the same place for four to six years continuously, the quantum of arsenic begins to increase. Arsenic causes cancer and that is what they are dumping for us. Some people say they prefer Thai rice because they are very sophisticated. Welcome to poison!”. Yes i can @saimegh.. Send me the article you want me to post on my blog and i will do it!.. And i will send you the URL for confirmation!.. @saimegh i try using this link you send but here is what they keep writing This user already requested for an verification. Ok, so how will they verify my account or blog site? Ok, will be waiting for them to ask me any question!.. We had an error because saimegh submitted himself for verification when filled up the form for you by giving his name instead of yours. I corrected it and not that blog has been verified as yours. @saimegh Since you reported me on my own blog website, so let me ask you, how can i verify my website on steemit?.. I think steemcleaner members had verified your blog so no more verification again .. Sorry, how did you know? But why are they still withholding my money?